Two interplanetary probes, Voyagers 1 and 2, were launched by NASA in 1977. Each headed in a different direction, but their mission included exploring the planets. They also contained a gold phonograph record with sounds and images, hoping to contact intelligent extraterrestrial life. These early day missions might seem quaint by today’s standards with NASA’s New Horizons probe working through the Kuiper Belt over 40 years later. Astronomers think the Kuiper Belt holds objects of cosmic material that remain from the formation of our solar system. Way back then, the pieces might have come together to form a planet; but gravitational pull from nearby Neptune kept that from happening. Nearly four billion miles away, the belt hosts the cosmic chunk Pluto, but is also chock full of smaller objects that could tell us more about planetary formation and provide forensic evidence of collisions within the solar system and possibly of explosions of long-dead stars. Optimism abounds when exploring new places. New Horizons returned images and information from Ultima Thule, one of the bodies in the belt, right on schedule January first. Scientists believe heavy elements from iron and nickel to silver and platinum, within these pieces of debris were forged within stars, as well as from stellar explosions called supernovae. New Horizons is moving through the Kuiper Belt now to extract more information before it travels into interstellar space. 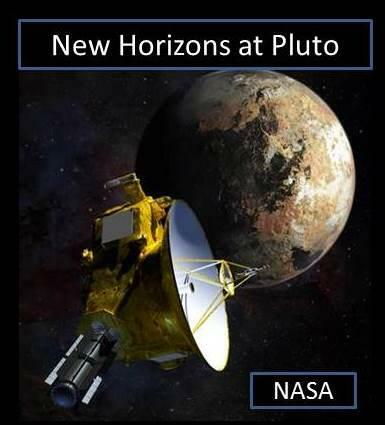 It will then join both Voyager probes as they search out new discoveries in the greater unknown. Western Slope Skies is produced by members of the Black Canyon Astronomical Society. This episode was written and recorded by Paul Zaenger, park ranger at Black Canyon of the Gunnison National Park.